EMBELLASH is an eyelash enhancement serum made by Protégé Beauty, a U.S.-based company that guarantees products that are completely paraben-, phthalate- and cruelty-free. 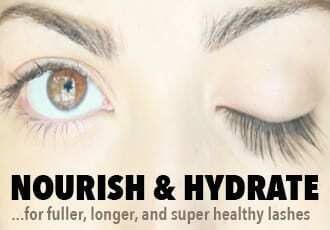 This enriched formula contains a host of nourishing natural ingredients like Grape Seed Extract, Coconut Endosperm and Saw Palmetto which helps stimulate hair growth for fuller, longer, and stronger lashes. The clinically-proven formula also includes KGF peptides that not only stimulate eyelash growth, but also thickens the skin around the lash follicles to heal damaged follicles. The ingredient list is even considerate of the delicate skin around your lashes – EMBELLASH includes Kelp Ferment to act as a nutrient-rich, oil-free moisturizer for both your lashes and the skin around your eyes. I consider EMBELLASH an eyelash conditioner because there are no prostaglandin ingredients in this serum, but as far as eyelash conditioners go – this is one of the best. 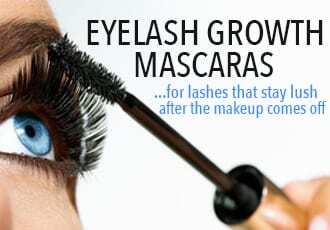 It takes awhile to see real eyelash growth – plan to use this for at least a month and a half before seeing anything drastic – but its results are comparable to Latisse, which is saying a lot considering EMBELLASH doesn’t come with the side effects or the price tag of Latisse. Speaking of price, EMBELLASH is probably the best deal right now – it’s $35 a tube and that will last you for 4 months, which comes to less than $10 a month. To top it off, EMBELLASH is backed by a one-year money-back guarantee. 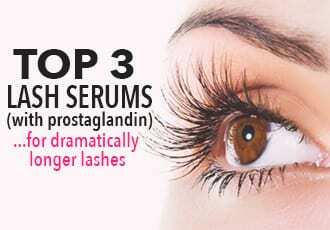 Which is why I feel totally safe in strongly recommending this enhancement serum: first of all, EMBELLASH actually delivers noticeably longer, fuller lashes and secondly, you have nothing to lose since Protégé Beauty offers a full money-back guarantee. If you’re looking for longer, thicker lashes – without the side effect of prostaglandin-containing lash growth serums – EMBELLASH is the best eyelash conditioner to get you there. Get it now for $35!